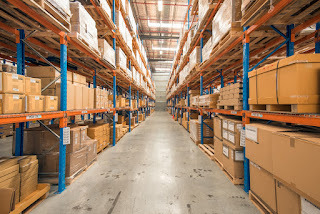 Warehouse security is one of the most important aspects of many commercial businesses. Companies all over the world depend on their warehouses to store valuable aspects of their business, and security problems will result in financial losses as well as lower employee morale. That’s why logistics companies and storage facilities must have physical barriers and security deterrents that guard against unauthorized access. Alarm systems and high definition video surveillance cameras are both essential elements of warehouse security. With the help of a carefully placed security camera, warehouse owners and managers can focus on at-risk areas and minimize the threat of theft. The presence of a warehouse security officer in itself offers security to a location and its property and staff. A warehouse security officer will protect a company’s property and staff by maintaining a safe and secure environment. Whether on a post or through regular patrols, a warehouse security officer represents a live, ready-to-act party on the scene.